As a leading service provider for the implementation of provider-independent Total Energy Cost Management (TEC® Management) enexion provide companies with continuous cost and risk reduction support in liberalized energy markets. With enexion’s integrated solutions, customers are able to act efficiently with regard to energy opportunities, even in an increasingly complex market, while at the same time reducing workload and increasing security. Logo and marketing sign at the same time. Since enexion has companies in Germany, Switzerland, Turkey and India, the logo should be simple and readable in all countries and on all languages. According to their corporate colors, the logo could be white/red on a black background, or gray/red on white backgrounds. 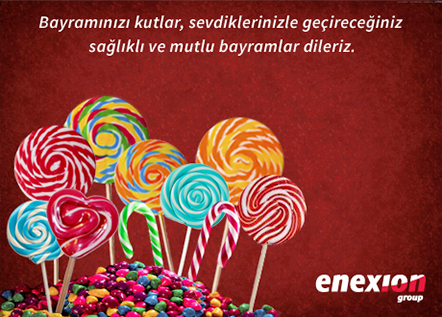 We created 4 brochures for Fair in Turkey. 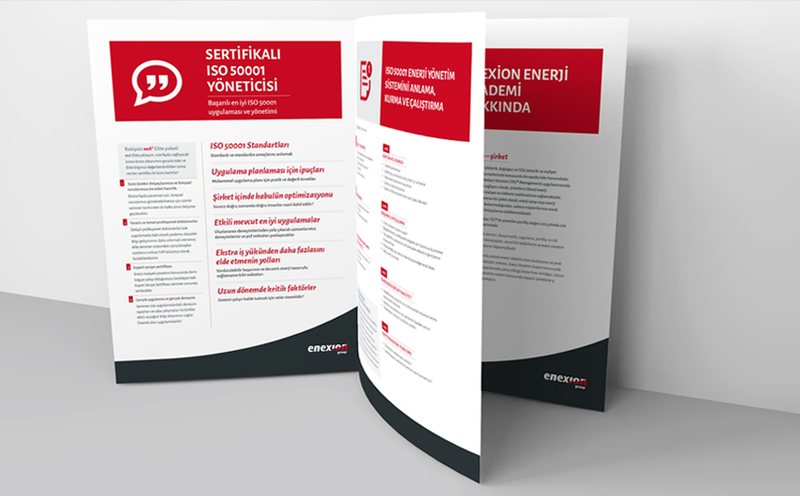 Brochures are designed according to enexion colors: red, grey and black. We used flat icons to conjoin style from the website. Multilanguage website was created in metro style. We tried to make this website easier for the users and available on all devices. Colorful tiles are added the fresh look. 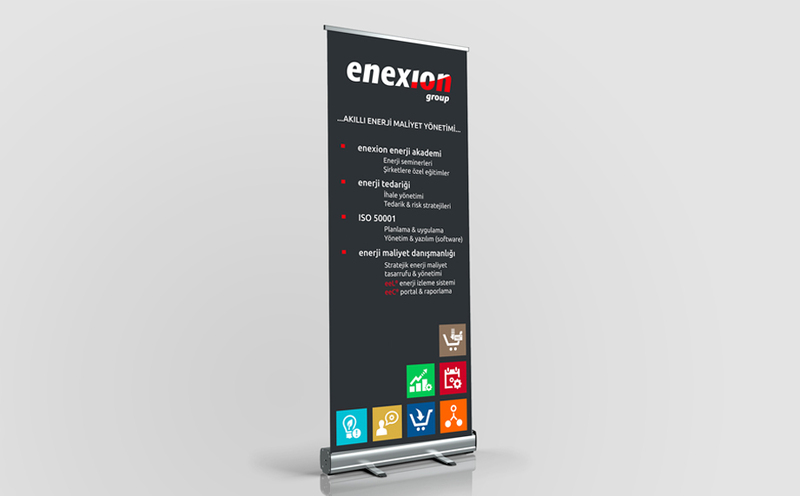 We created the roll-up banner to highlight important points of enexion group. Bottom part of the banner include icons and colors from the website and gives “eye-catching” moment. 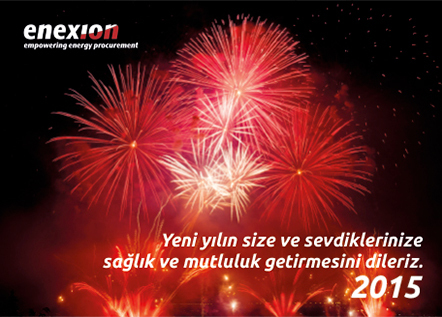 Each year, enexion group send the Greeting cards to their customers. 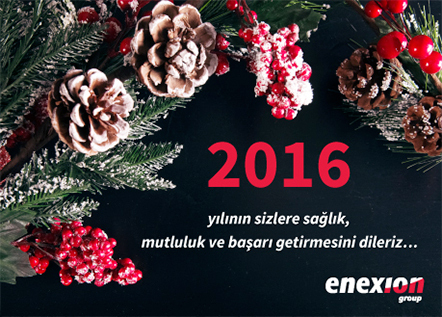 We created New Year cards for 2016 and 2017. 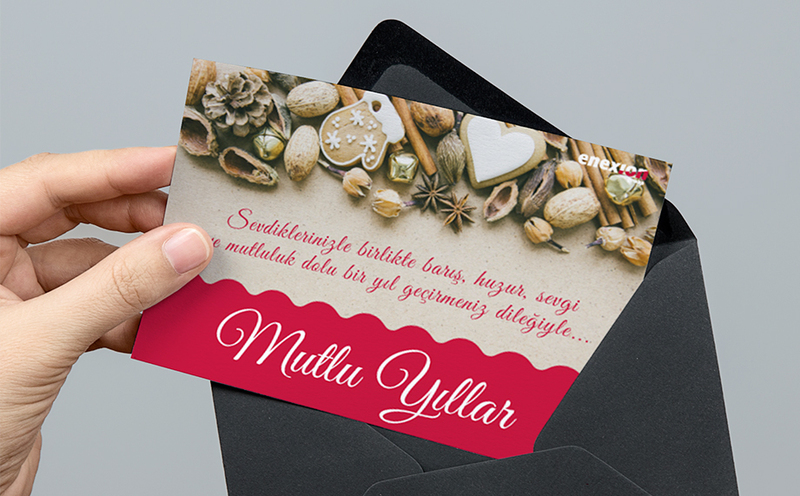 For their company in Turkey, we created cards for Ramadan and Bayram.